John Jones and the Reluctant Ramblers walked into the festival site on Thursday 14th and played a well-received set on the main stage. Prior to walking into the festival site on the Thursday, John and fellow ramblers made a circular walk that included Old Winchester Hill and the source of the River Meon. Walk to the source of the River Meon — a circular walk across rolling Hampshire downland to the source of one of the iconic rivers in the Upper Meon Valley. We start in Exton Village at 9.30, at The Shoe pub . This is just off the A32 and due west of Old Winchester Hill. We follow the South Downs Way eastward to Old Winchester Hill and beyond, past Whitewool Farm and up to Salt Hill , at 234m our highest point, and on to Mercury Park. 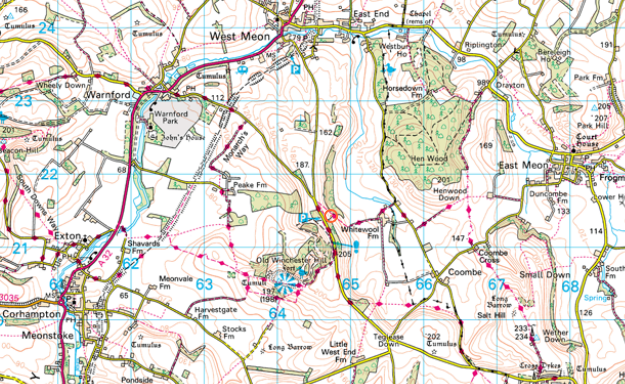 Then, leaving the South Downs Way, we descend Tegdown Bottom northwards to reach the source of the Meon and following the river to the village of East Meon. 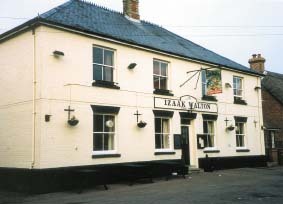 We stop for lunch at The Izaak Walton pub (Izaak Walton was an English writer, best known as the author of The Compleat Angler) . The morning walk is 9 miles and we should be at the pub for 1pm. If you wish to eat lunch at the pub then please contact them to pre-order. After lunch we follow the Meon valley down to Drayton then up to Horsedown Farm, dropping back into the valley and taking the road to West Meon. 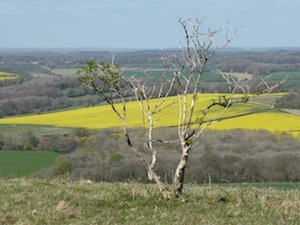 We follow the footpath to Beaconsfield Farm, above Warnford, then take Monarch’s Way west to join the South Downs Way and back to Exton via Beacon Hill to finish back at the The Shoe pub at approximately 5.30pm The afternoon walk is 8 miles giving a full day walk of 17 miles. Please email us at info@jj-rr.org if you plan to join us for all or part of this walk as it helps if we know the number of people to expect. From the ancient site of Old Winchester Hill we take the path that runs south south west past Stocks Cottage and then along Stock Lane and descend Long Road into Soberton village in the Meon Valley. 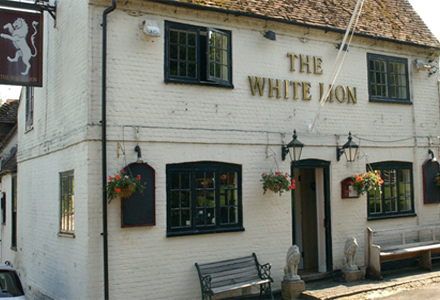 We will stop for lunch at The White Lion pub in Soberton which has been recommended to us as an excellent pub for walkers. After lunch, we will leave around 2.30 then follow the old railway line towards Wickham. We come off at Northfields Farm then into Blind Lane and the festival site to arrive for when the gates open at 4pm. This stretch of the walk is about 4.5 miles. I would like to walk with you on the Thursday. Is there a post code for the start of the walk? The car park is at grid ref. SU64575 21406 (lat: 50.988446, long:-1.0813519). The nearest postcode (according to postcode finder) is GU32 1HW but that’s for a property over a km away – don’t trust it! Thanks Lesley. I’m sure I remember from the “Song of the Downs” walk that there is a sign post to the car park from the main road. 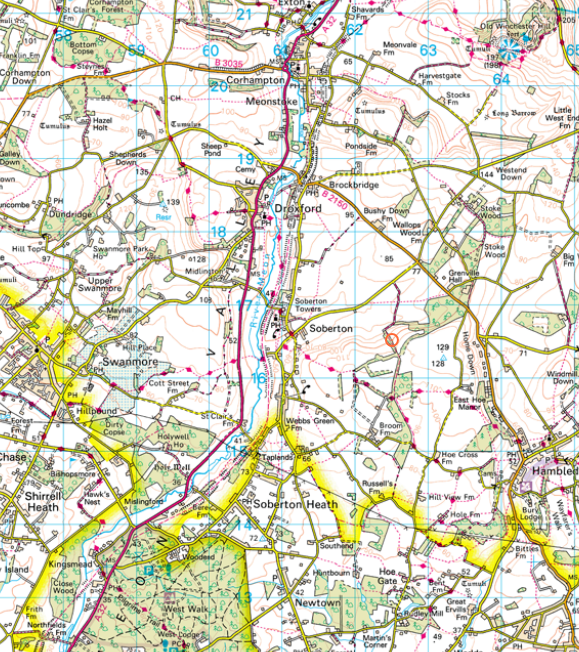 I’m pretty sure it’s marked on the map but I lent my map to someone…..
All being well I’ll be waiting for you (avec spaniels) at the top of Salt Hill tomorrow morning. Failing that I’ll meet you (sans spaniels) between Soberton and Wickham on Thursday. 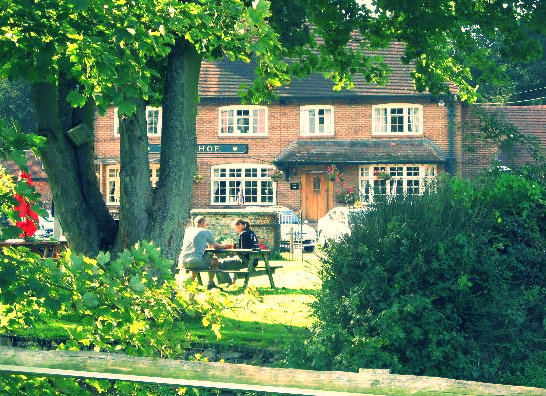 I will be joining the walk Wednesday afternoon August 13th and will meet you in the pub at lunchtime Izaak Walton pub. Please let me know if this changes.